Within the organization, IT systems are deployed by different department and in different period of time. Therefore, it is common to see multiple heterogeneous information systems running on different hardware and software platforms simultaneously.As each system has their own independent and mutually closed data source,it makes data not to be communicated, shared and integrated across different IT applications, which finally results in information silos. With the deepening of informationized applications, there is an urgent need to link enterprise internal different sectors’ information and also link enterprise internal information with external information. To integrate existing information and eliminate information silos, it will realize the goal of information sharing. 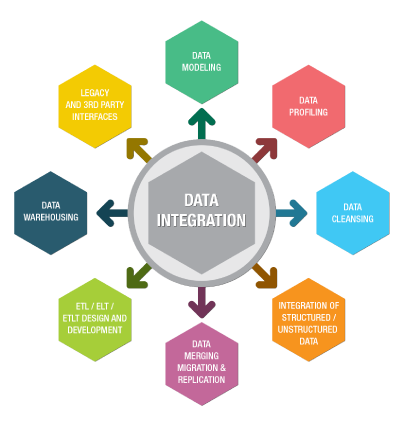 Data integration is to integrate all the dataset from different systems, and it is data processing way for business users to research different industrial behavior and customer behavior. 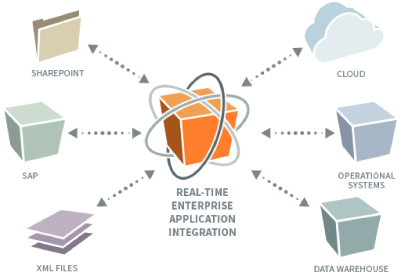 In early stage, data integration only integrates data coming from transaction system and its related applications. At this time, the decision-making platform guides management team to make important business decisions; however, this platform is backed by very limited dataset. In the past 30 years, the data type and the data volume have encountered dramatic increase, data warehousing technology grows out from nothing, and the development of IT infrastructure and technical architecture satisfy the high standard of data analytics and storage. All of those have shaped a bright future of data integration. The traditional data integration technology puts its focus on the architecture and the programming model of ETL, ELT, CDC and EAI. However, in big data world, this technology needs to be modified according to the actual data scale and complexity, which includes data format. The big data empowered that data integration solution can easily integrate traditional data warehouse with all types of semi-structured and unstructured data in near real-time processing speed. AAS is proud of saying that data integration service is one of our key competency. Our consultants are skilled in techniques such as ETL, EAI, EII, web services, database management, and business rules engines. Our expertise covers best-of-breed data integration products, proven ETL methodologies, and metadata management. AAS helps your project team increase the productivity and alleviate BI system maintenance work. Through our professional services, we enable you with repeatable and stable integration processes that link your new system with the existing infrastructure.